In most events like weddings and parties, we always wanted to dress well. Moreover, we wanted to make sure that we wear an appropriate dress fitted for the occasion. This goes the same with your tables. Your guests will surely love the event if they see that your tables including linens and chairs are all dressed up appropriate for the specific event. If you are preparing for a wedding event, you can accessorize your tables the way you accessorize the bridal gown. 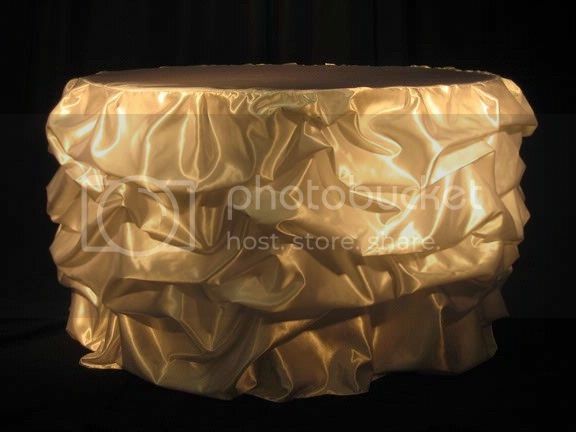 Although not too detailed, you can buy or make a tablecloth that will add an element to the theme of the wedding. But make sure that you know what tablecloth size to look for so it will dress up the entire table. You also need to consider the colors as well as the designs so it will surely compliment to the entire wedding theme. In other occasions like birthday parties and family gatherings, you can opt to buy bright colored tablecloths depending on the theme of the birthday. There are a lot of designs you can choose from. Also, you will need to take notice of your table designs. Some tables have nice and elegant designs which may not anymore need a tablecloth. Basically, providing a dress for your tables is all about preference. Depending on your theme or style, you can decide whether to dress up your tables or not.